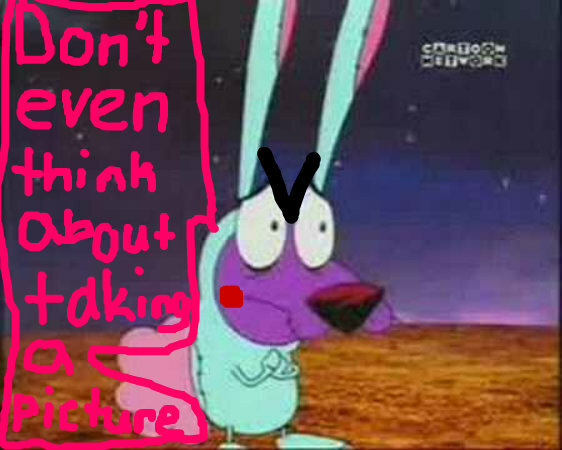 courage the cowardly bunny rabbit. courage doesnt want u to take a picture of him. Wallpaper and background images in the Courage the Cowardly Dog club.